Primary School Head Teacher Job Circular 2017. Govt. 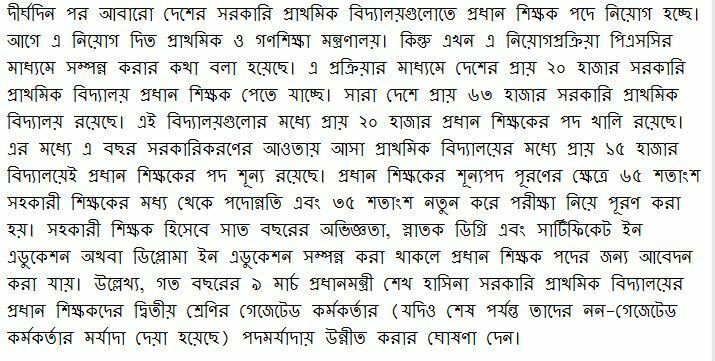 Primary School Head Teacher Job Circular 20176 is going to publish. Primary School Teacher Circular 2017 in Bangladesh. Bangladesh public service commission is going to offer a number of posts for Primary School Head Teacher. 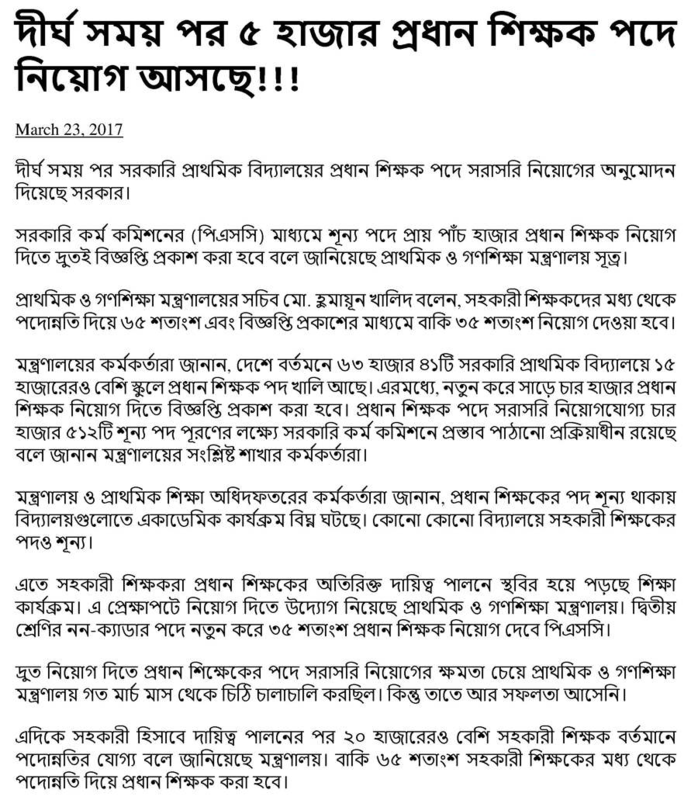 For that, the authority is going to publish Primary Head Teacher job circular. As per as our concern, this time round about 20,000 teachers will be hired to fill the vacant seat. Interested candidates are suggested to start their preparation to make themselves eligible for the post. The government of Bangladesh has upgraded the post of primary school Head Teacher to 2nd class category. Following this initiative, the recruitment of Head Master in primary school will be begin after 7 years prolonged break. On behalf of the concerned authority, Mr. Gyanendronath Biswas has opined that a number of seats in primary schools are still vacant. This shortage of teacher is causing a number of problem in primary school. Bangladesh Government has finally taken the procedure to select 20 thousand Primary School Head Master to root out the problem. As per as our concern, altogether 63,000 primary schools are in process to making the nation educated. Among these, almost one-third of institutions are in problem of shortage of Head Master. In past about 65 percent of Head Masters in primary schools were selected among the assistant teachers and rest of the 35 percent from separate recruitment. Bangladesh Public Service Commission will monitor the activities regarding the hiring of Primary School Head Teacher selection. We assume unlike other government procedures, the applying process will also be completed via online www.dpe.gov.bd. The complete job circular and online applying procedure will be given in the official website of the concerned authority related to this.